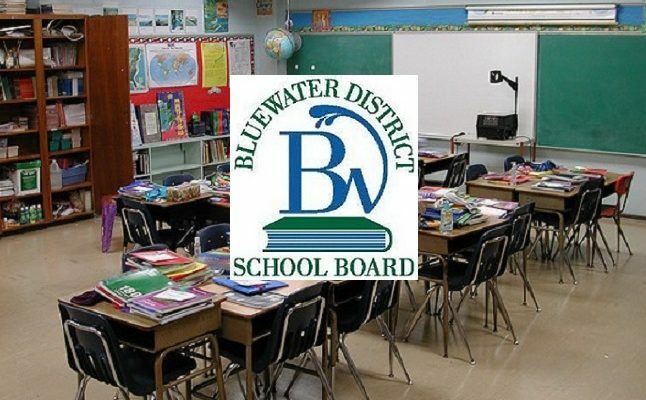 The Bluewater District School Board has major concerns with the Ford government’s proposed changes to the way kids are taught. The board has written a letter to Minister of Education Lisa Thompson who is also the MPP for Huron Bruce. About half the Bluewater Board is in the Huron Bruce riding. Board chair Jan Johnstone said they’re especially concerned with the increase in class sizes. She said it will result in the loss of 40 to 50 teachers. She said that would in effect equal the closure of two secondary schools. Johnstone said what they want is at least some consultation with the Minister. “To work with her education partners which is our school board and educators and have meaningful consultation,” said Johnstone. She said the situation is stressful for everyone, especially the kids. “They’re looking at their quality of education, getting the courses they need basically for their own pathway in life and they also feel that they’re not being consulted,” said Johnstone. Johnstone said the increase in class sizes could threaten the safety of students, especially in technology courses as well as harming the quality of education. She said they’ve invited Thompson to a meeting to discuss the situation. They haven’t heard back yet.